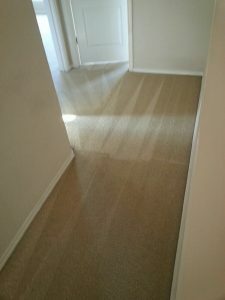 When you have a carpet cleaner come out to your home do you know what they are putting in your carpets? Do you know what to expect? Well, you will be surprised by what some carpet cleaners use to clean your carpets. When you are having your carpet cleaned it is important to know what is being used so you can protect your carpets and your wallet. There are a few things you should be aware of when it comes to carpet cleaning. Certain carpet cleaners have carpet cleaning tricks up their sleeves that they don’t know want you to know about. They use these methods because it is cheap and in most cases will make your carpets appear to be cleaned. Carpet cleaners have been known to use bleach as part of their solution or laundry detergent. Why aren’t these proper solutions to carpet cleaning? Using bleach means your carpets are in danger of being damaged permanently. Bleach will ruin your carpet causing you to have to pay for new carpet which will cost you way more then you wanted to spend. Laundry detergent will leave way too much residue in the carpet. The residue will attract dirt causing your carpets to get dirty quicker. Laundry detergent can also stiffen your carpet making it unbearable to walk on. Another secret is that unless you ask about spot treatments carpet cleaners will only use water to clean which will not get rid of your stains. Wetting the carpet will in most cases remove dust and allergens if the proper degree is used to steam clean otherwise all you are paying for is wet carpet. If they happen over wet your carpet it will stink and put your carpets at risk of growing mold and mildew. Beyer Carpet Cleaning does not use bleach or laundry detergent or any other kind of soap to clean carpets. They only use enzyme and emulsifier solvents to clean. These solvents will remove 95% of stains in the carpets including traffic areas, food and drink spills. They use truck mounted equipment that gets to 210 degrees or hotter. They will never over soak your carpets putting them at risk for damage or worse mold and mildew. 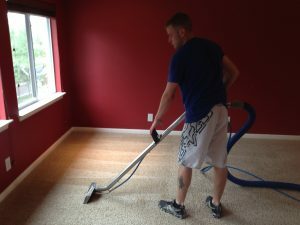 Beyer Carpet Cleaning has no secrets when it comes to carpet cleaning. They are professionals up to any task!